A H M VIDYALAYA is located in VISAKHAPATNAM Andhra Pradesh . A H M VIDYALAYA is registered as a Society at VISAKHAPATNAM of state Andhra Pradesh with Ngo unique registration ID 'AP/2010/0035251' . 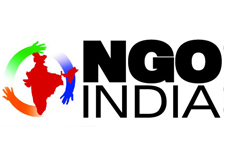 The NGO registration is done by Registrar of Societies with registration number 21 OF 1968 on the date of 06-07-1968, Its parent ORganaisation is Dakshin Bharat Hindi Prachar Sabha Madras. The Chairman of A H M VIDYALAYA is G VISWANADHAN and Chief functionary officer is PRESIDENT. Promoters are G VISWANADHAM, S VIJAYASARADHI, M SITALAKSHMI,M V TIRUVENGALACHARY.